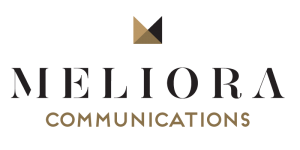 We are very proud to announce that Meliora Communications is the official Communication Sponsor in the UK of the Reload Greece. 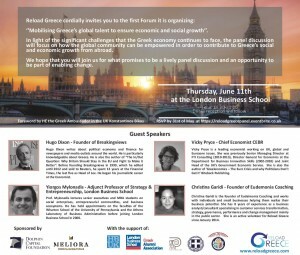 The ‘Mobilising Greece’s Global Talent to Ensure Economic and Social growth’, a Forum that Reload Greece organises takes place on Thursday 11th June at the London Business School at 18.30. 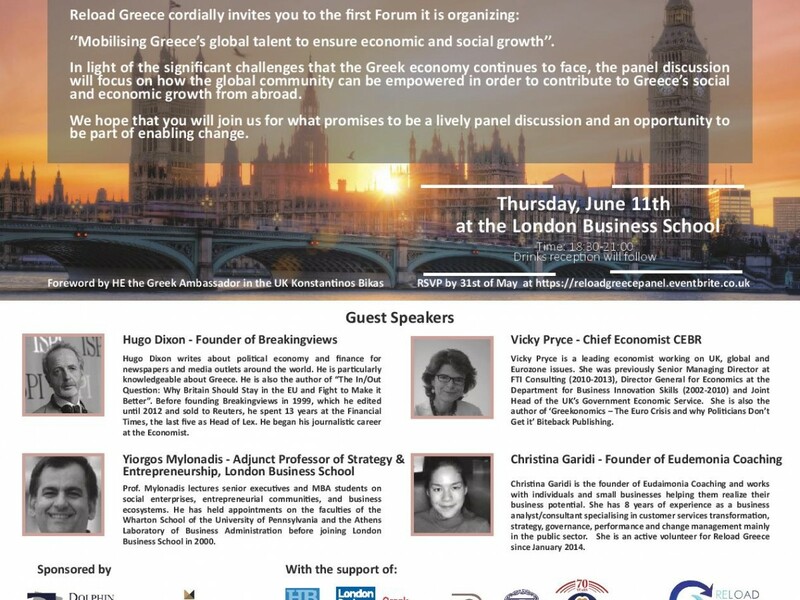 Among our speakers will be Vicky Pryce – Chief Economist SEBR and Hugo Dixon – Founder of Breakingviews. 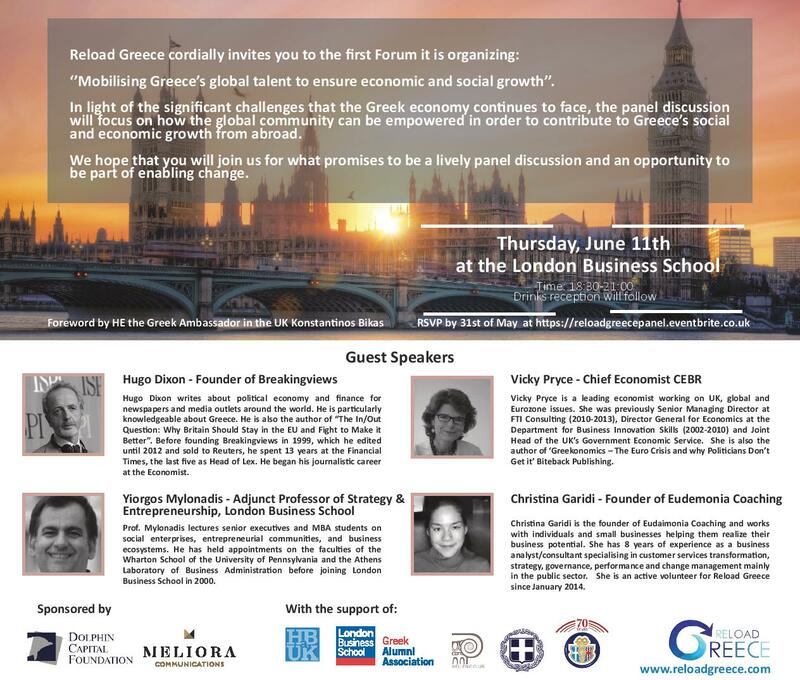 The Greek Ambassador Konstantinos Bikas will open the panel.